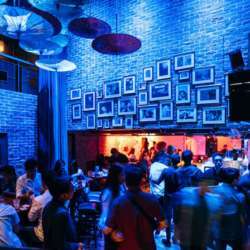 Join us for the very first time at D'Underground on 1March from 19.00 onwards. 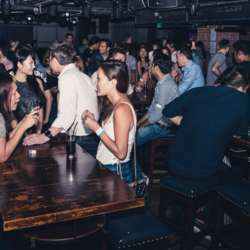 As the name suggests, D'Underground is located in the basement of the International Building at Orchard Road. 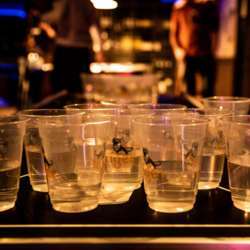 Acting as both a bar and a nightclub, live band performances, DJ sets, and even drinking games to keep the night young. Stay 'till midnight when the party kicks in with surround-sound club banger, stunning lighting effects, and light bites to keep you party animals energized throughout the night. Enjoy one complimentary glass of beer/wine/soft drink. Don't forget to redeem your complimentary drink before 22:00. There will be lucky draw prizes, so don’t forget to bring your card! Feel free to bring your friends and colleagues along, but please invite them to join InterNations first! Kindly note for registration fee only cash is acceptable / No credit card. How to get there: 5 mins walk from Orchard MRT, next to Thai Embassy. Please only RSVP if you are sure of coming to the event.